Well hey everyone, guess who is back! It’s me! Sorry for the extended hiatus, but I am feeling rejuvinated and ready to go with 2018. I really hope that you are all ready for some solid content and Willi Killiams writing style. So it’s Monday, almost Tuesday, but I had to pick the first Man Crush Monday of 2018. Who did I pick? 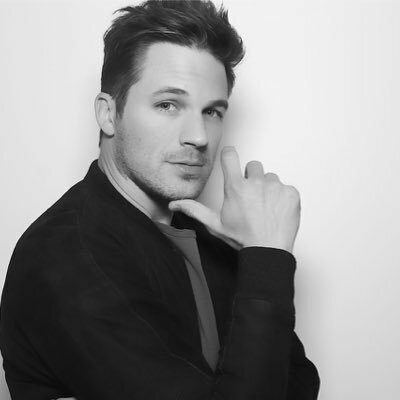 Matt Lanter, someone who has been very hot since about 2012, I think that’s when he joined the ‘90210’ reboot. I could be wrong, whatever. Anyway, he recently starred in ‘Pitch Perfect 3’ and it just reminded me why I have always had a thing for him. He has those gorgeous blue eyes, that deep voice, and he just seems like he would protect me. Everything that I need in a man! Happy Monday, may your 2018 be filled with good looking men! Sometimes all you need is coffee in a @starwars mug. Previous Previous post: Jesse Williams Stars In Demi Lovato’s Emotional “Tell Me You Love Me” Video – Watch Here!